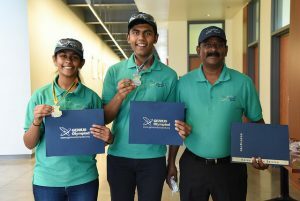 Aftab Ahamed poses for a photo with his children, Afrah Aftab and Areeb Aftab, both from Hanford High School, who earned gold and silver at the Genius Olympiad International Science Fair, after working in the Bioproducts, Sciences and Engineering Laboratory at WSU Tri-Cities. WSUTC researchers have collaborated with several students through the years on science projects that have done well in science competition. In the last several years, WSU Tri-Cities researchers and professors have partnered with a variety of Tri-Cities high school students that have competed in the Mid-Columbia Regional Science Fair and moved on to the Washington State Science Fair, Expo Sciences Asia and even the Genius Olympiad International Science Fair, each where students have earned top honors. 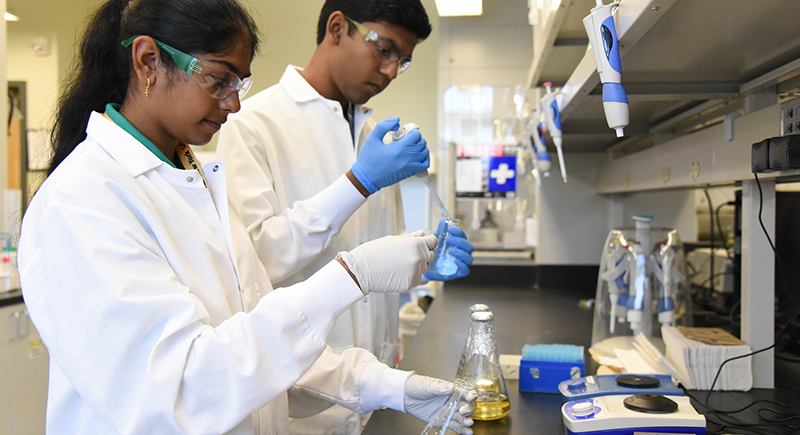 These students have worked with professors on projects ranging from the development of biofuels and biogases, to developing and refining bioproducts to solve global challenges, to the refinement of toxic plastics to safe biodegradeable plastics and more. Ahamed said he has worked with 11 students, including his own two children, at WSU Tri-Cities. One of his students studied how he could use endophytic fungi to produce biofuels. Another student studied how to turn wine pumice, or the organic materials left over after a grape harvest, to produce bio-based jet fuel. Others worked on biogas production from agricultural waste materials and in converting toxic plastics to plastics that could be degraded safely and naturally using bacteria. Bin Yang, a professor at WSU Tri-Cities in BSEL, and then doctoral student Libing Zhang, have mentored several students. One completed a project pertaining to converting lignin, which is the main material comprised in the cell walls of plants, into biofuel. The other student’s project focused on creating a supercapacitor, which stores large amounts of energy similar to a high-performing battery. Earlier this year, Zhangyang XU, a doctoral student from Dr. Yangs’s lab, also mentored a student from Hanford High School in the sciences. Afrah Aftab and Areeb Aftab, both from Hanford High School, work in the BSEL facility at WSU Tri-Cities. would fluctuate in the Columbia. It had been documented that there were toxic carcinogens stemming from industrious practices that would flow into water sources, which would cause embryological dysfunction and tumors in water wildlife. While scientists have developed a method using an enzyme called laccase to reduce those carcinogens in the water during the wastewater treatment process, the enzyme is quite unstable and typically only survives the process for 30 minutes. 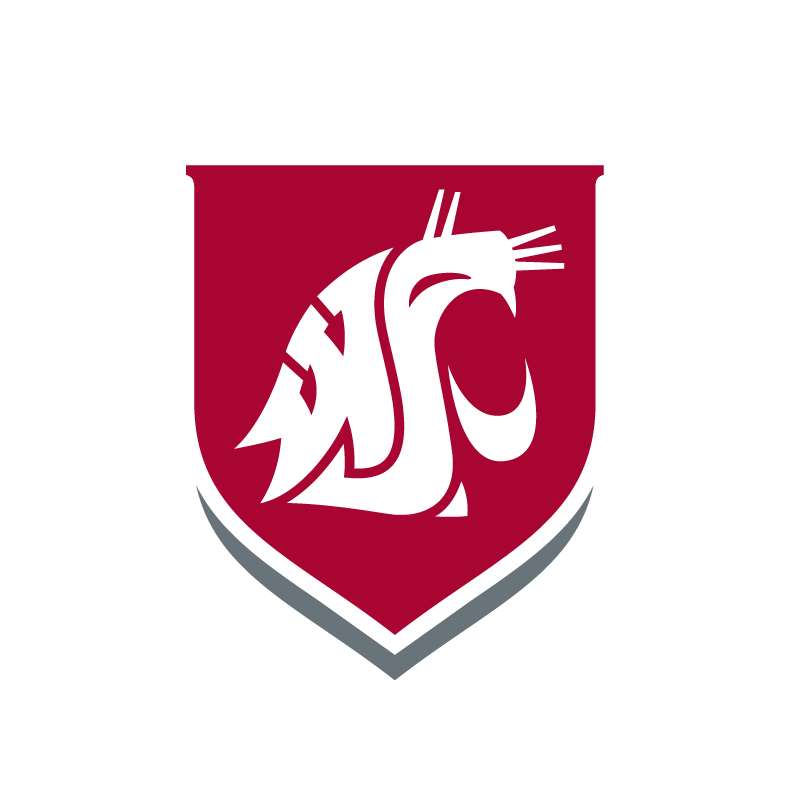 The students found a way to make it more stable, allowing the enzyme to survive for up to two days and also be reused in the process as part of their collaborative project with WSU Tri-Cities. 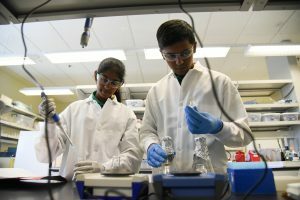 Afrah and Areeb Aftab’s work in the WSU Tri-Cities BSEL facility earned both first place at the Washington State Science Fair, as well as gold and silver, respectively, at the Genius Olympiad International Science Fair this year in Oswego, New York. And also this past academic year, Kevin Yang, a Hanford High School student who was also mentored by Ahamed, earned first place at the Washington State Science Fair for his work in converting toxic plastics into degradable plastics using a soil bacteria through experimentation and genome-scale metabolic modeling. Bob Lewis, a WSU Tri-Cities associate professor of computer science who has judged the Mid-Columbia Science Fair for most of the past 10 years, said there is a need for scientists and engineers to become engaged with students before they reach the competition level, which is why these types of partnerships are so valuable. “Many of the projects could have been substantially improved and could have led to a greater understanding and appreciation of science if a scientist had spent just a few minutes of consultation with the student early on, with periodic progress reviews as time goes on,” he said of some of the projects he judged at the competitions. Many students who have worked with WSU Tri-Cities professors for their science projects are now studying at WSU, Ivy League institutions and other prestigious universities, and all plan to or are pursuing a career in the sciences. The students said they are also excited to have the hands-on opportunity to work in university labs.